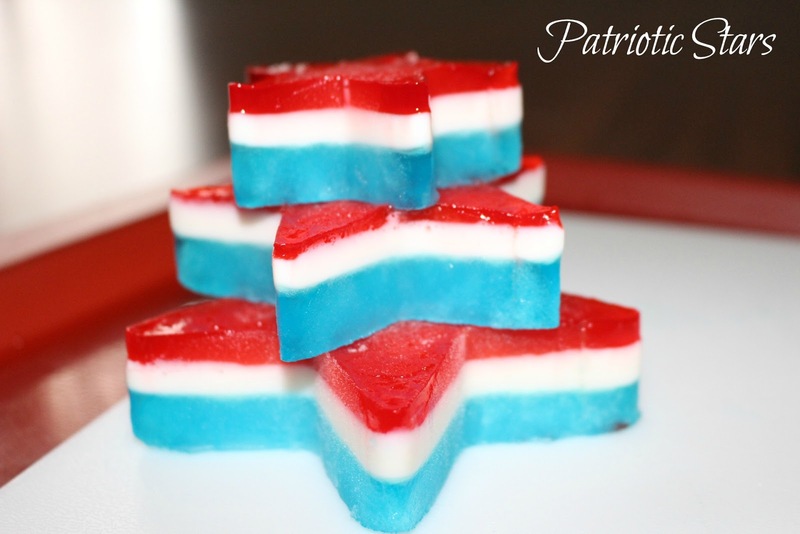 I've been experimenting with Jell-O & gelatin this summer & after googling white Jell-O, I realized it didn't exist! 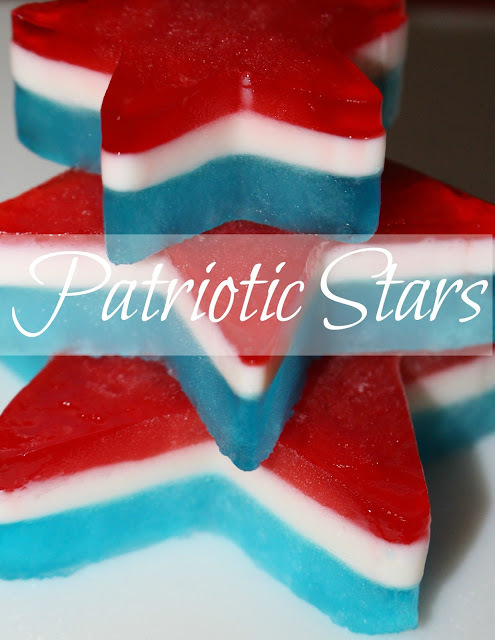 They do make white pudding but I wasn't sure how it would hold up, so I was able to figure out an easy way to make it (after only 1 failed attempt) on my own & make these fun Patriotic Stars! The first time I made these - the layers didn't set right, so the second time I just froze everything! This wasn't a hard recipe but it did have several easy steps, I can't wait to make them again! 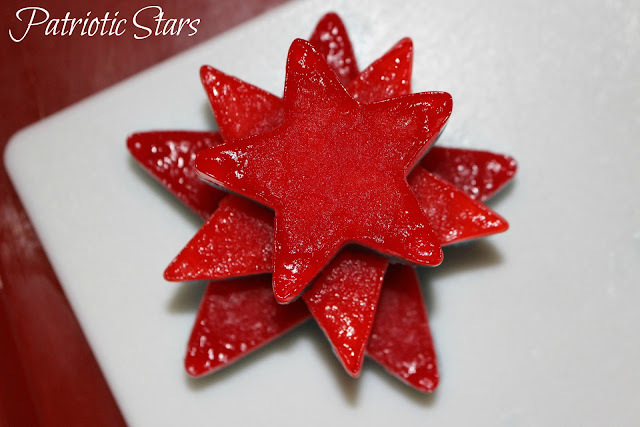 I wiggled the cookie cutters out of the pan, then the Jell-O popped right out of the cookie cutters & I placed them in the fridge for a few minutes before we enjoyed them!